We've moved quite a bit of stuff around this year, and you've been mostly patient with us while we overhauled our information architecture. This was no trivial needs more pop and a lens flare type of undertaking, we moved a significant amount of cheese. To kick off our fall anniversary series of celebrations, we'd like to offer our thanks to everyone that put up with us. We'd especially like to thank those of you who went out of your way to try and be constructive, even when you weren't happy about the changes we had to make. 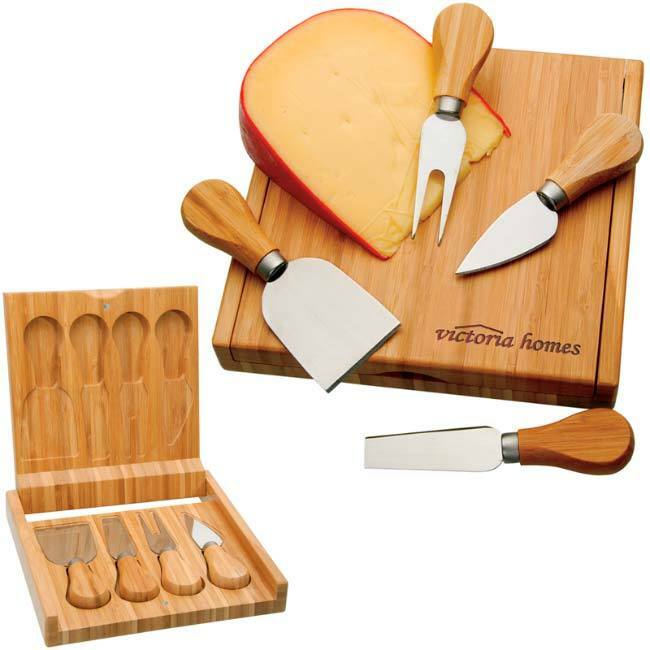 We were going to do this sooner, but we had to find a really cheesy way to go about it, and not much is cheesier than a cheese board except the cheese one might carve while using it. ... then you need to regale us with tales of cheese. Or, tails of cheese, if you make mice out of Maasdam. Cheese, Louise, you could even write a song. You must submit creative artifacts where the primary theme is cheese, where puns are strongly encouraged. 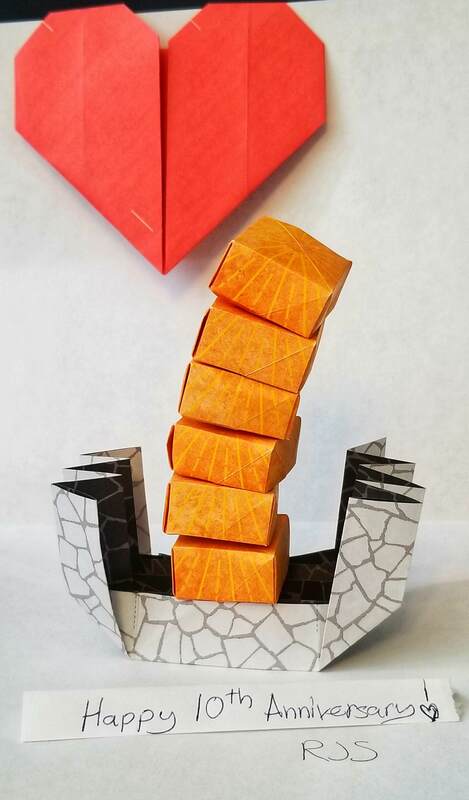 Make a sculpture out of cheese. Write a song about cheese, perhaps a Munster mash for upcoming holidays? 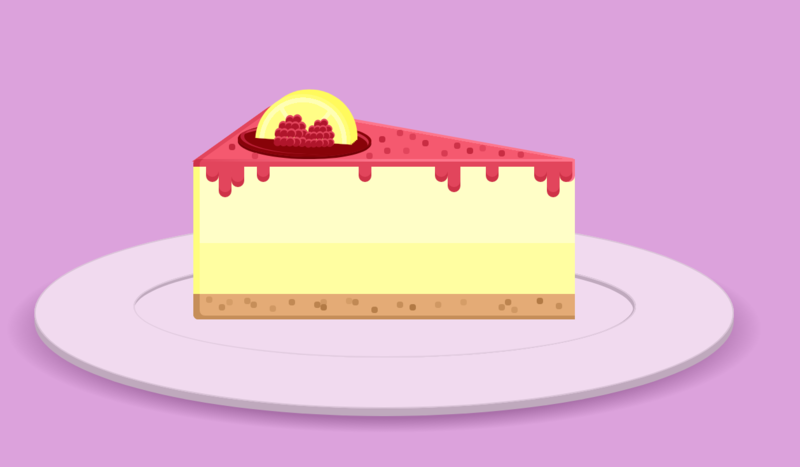 Design a completely edible replacement for your favorite review queue. Make a brie-f case to hold your important papers. ... you get the drift. The top 25 entries, as calculated by net upvotes received (not aggregate score, down-voting won't help you win!) will receive this cheesy package. Whatever it is, you have to be able to submit it as an answer to this question. Links to videos are accepted, however they must be of your own creation and the video must remain available. If either stops being true, your submission will be removed. You can post as many entries as you want in good faith as long as they are in line with our terms of service, acceptable use policy and code of conduct. This is also a reminder that all user-contributed content falls under our CC-BY-SA 3.0 license. Contest is open from 2018-10-09 to 2018-11-09, final entry must be received at or prior to 23:59:59 UTC on the last day. Contest will then be locked for historical reference. Employees are eligible. Jay, this means that you've gotta get cheesy in order to get a cheese board. 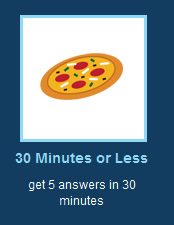 You must be a user in good standing on Meta Stack Exchange during the entirety of the contest, or your entry may be disqualified. Let's have some good, clean fun. If you win but don't care for cheese, we'll give you a selection of other items of approximate value. We want you to enjoy the prize. 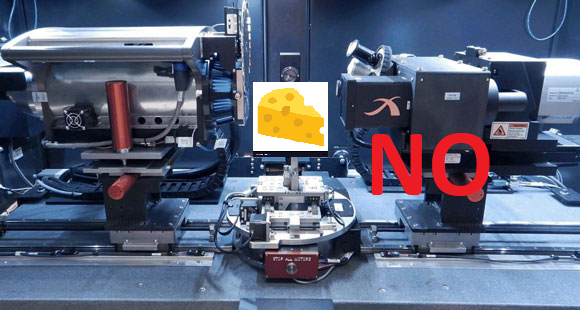 Void where contests or cheese is prohibited. 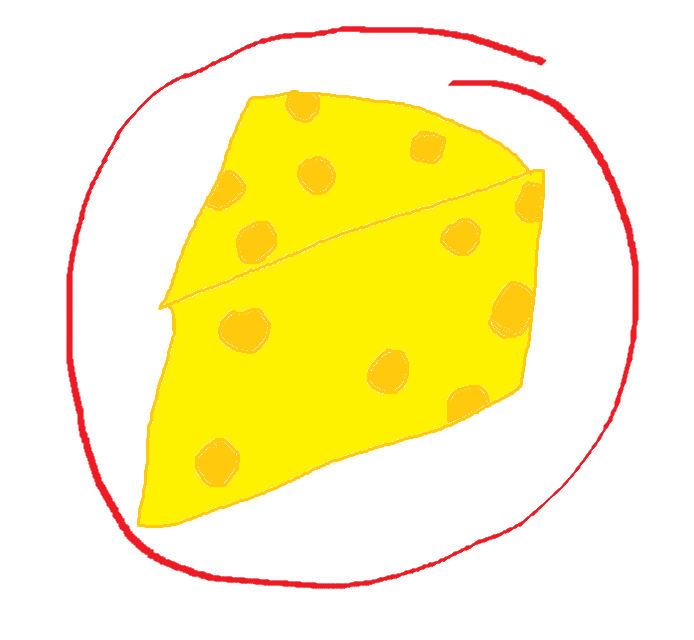 So I simulated an X-ray machine on the cheese and reconstructed the result for better analysis. I used MATLAB and the TIGRE toolbox*. % Next create the circle in the image. Now let's make it Swiss. We like manchego, but do we like it more than Swiss? No. And finally I reconstructed it using two different mathematical methods, just for better cheese-analysis. 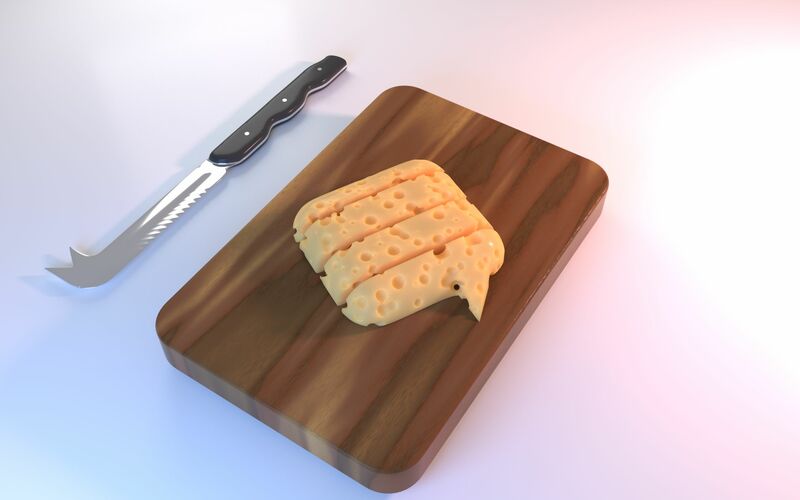 Now you can know how to cut the cheese so everyone gets equal amount of holes, before even cutting! *Disclaimer: I programmed the TIGRE toolbox and am not trying to promote it. I just know how to make cheese fast with it. Well, it's gouda you guys to do this, but I'm sure that it will grate on quite a few people. I would proceed very caerphilly with this proposal. Or, on the other hand you could just sit back and have morbier and watch the curds fly. I would like to offer this advice, because if this really blows up, all that will be left is de brie, and nobody wants that. Just sit back, put on some nice rhythm and bleu's, pick a snack that you are fondue of, except for that one because that one is nacho cheese. On the other hand, eat it because wotsit matter anyway? Consider the feta of most posts in this salvo, and vote appropriately. Appreciate the sharp wit, be mild with the newbies, and get yourself out of the daily rind for a while. If you must completely retreat, I recommend creating a moatsarella around your house, then stand on your roof shouting "How dairy you?!?". Once everything is ova, stop throwing stones because the roquefort's back on occasion. Get the beavers out of the moat and break apart their edam. Think about what you've done that might curdle others' toes, and stop being so curd in your speech. Try to be a bit more cultured, but not necessarily Stiltoned, follow the roules, and try to avoid a meltdown. A few final thoughts - If you want to be clever, use mascapone and go as a horse for Halloween (Make sure you get a tunworth of candy). Avoid angering the Hallouminati, and always act mature. 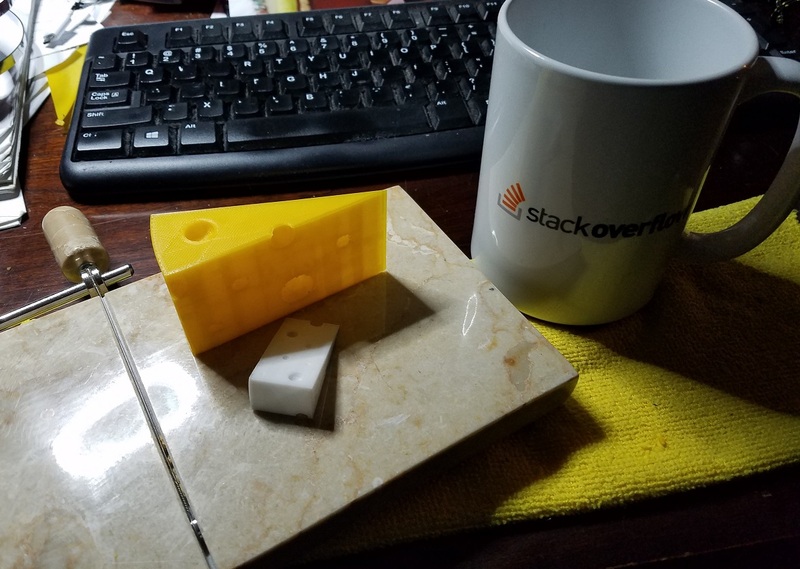 How about some StackExcheese? Modeled in Blender rendered with Cycles with fully procedural textures (no images harmed during the rendering of this 3D model). In the Portuguese language there is a common traditional saying that eating a lot of cheese makes you forgetful, so stick around and restore some knowledge from the vast sea of Q&A sites. I do love me some cheese though; my favorites are Halloumi, Ricotta, Edam, Mozzarella and Feta. 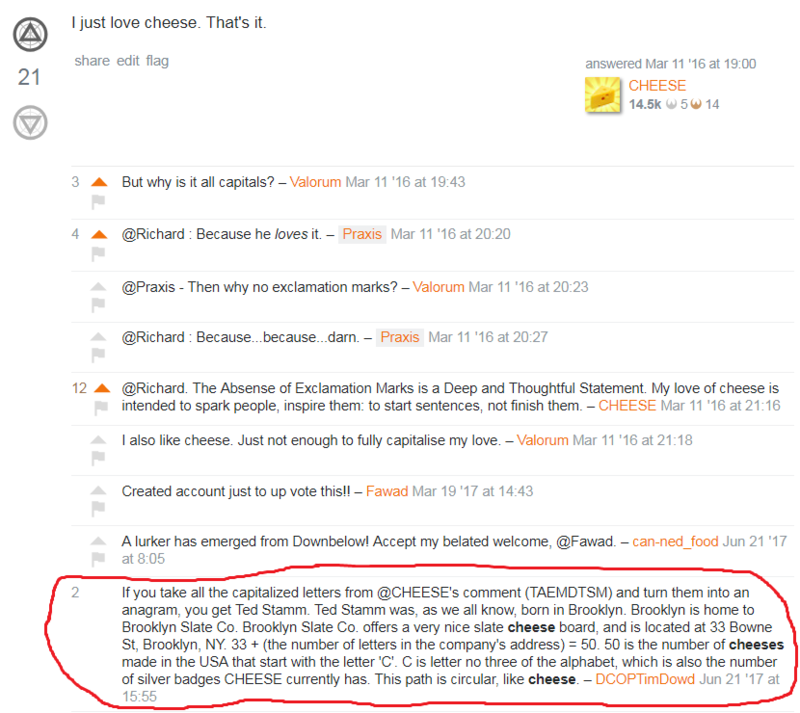 Here's me talking about cheese AND cheese boards over a year ago to a user named @CHEESE. Destiny much? Run this stack snippet and try to get the cheese with your cursor. The only one she really enjoyed was the Cheese Shop Sketch. We both agreed it was a masterpiece of British comedy. And my devotion to a life of cheese was born. We split up soon after (unconnected fact, obviously) but I still believe cheese is the food of the gods. Shog's nose wrinkled. The unthinkable had happened. Someone - and he knew exactly who it was - had just cut the cheese1. He had been calmly sitting in his office, working - the folks over at Cooking.SE were having a bit of a salty2 discussion on meta - when someone in the office had released a foul, lingering odor. And since he worked from home, it was of course him. With the smell grating3 on his nerves, Shog decided to take the prudent course of action and exit the room, at least until the pungent smell had dissipated. I'll just go get a snack, he decided. He opened the door of his office and walked down to his kitchen. "Pickles..." he said, scanning the shelves. "No. Appear to be out." He glanced over at where he usually kept his baking experiments. Unfortunately, mold appeared to be well on its way towards gaining sentience there. His tomato patch was still unripe. Opening the fridge was a slight improvement. Here there was half a watermelon rind4, a few slices of pizza, and... a rotten orange, emitting malodorous fumes. In his fridge. It seemed like Shog's nose was in for a rough day. He sigh and decided to just grab the pizza. He pulled it out, walked over to the microwave, and was about to pop a slice in when he heard a sound behind him. His back stiffened. Slowly, he wheel5ed around. A heavy weight struck his head, and Shog knew no more. 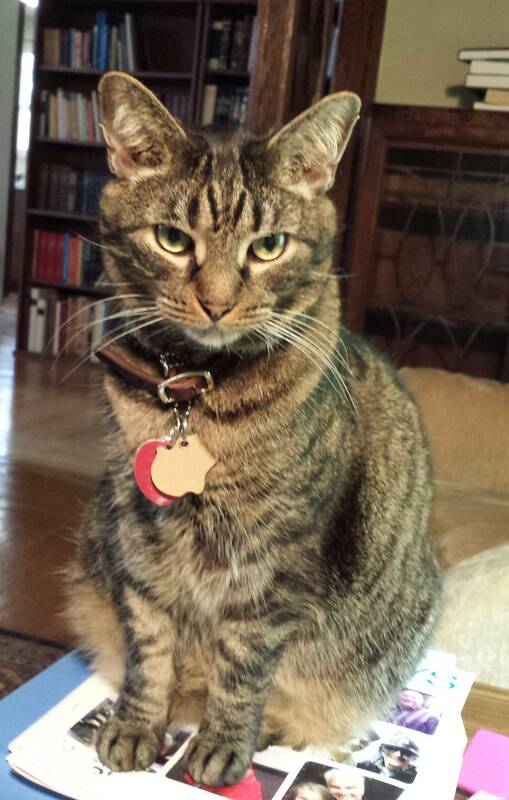 Catija6 watched as her toddler, screaming, lay on the floor, beating his fists on the rug. Having a temper tantrum. Naturally. She couldn't wait until he matured7 a little. "It's okay, Ben!" she said, trying to calm him down. "I'll only be out for a few hours. Your father will be here soon." She turned to the babysitter, who was eyeing the kid on the floor warily. "I'm sorry... he's not usually like this," she told her, frowning. "I don't know why he's having a melt8down now." The teenager gave a nervous grin, flashing braces. "It's okay, ma'am, hopefully I can handle it." "You have my phone number?" Catija asked. "Yes, I do," the sitter confirmed. "Good. I shouldn't be back later than 11, and Andy should be here by 5. His bedtime is 7:30." "Got it," the girl said, making a note on her large purple phone. Catija took one last look at the screaming child on the floor, picked up her bag, and walked out, closing the door behind her. It was a warm day for the fall... but then again, it was Texas. As Catija walked down the street, a taxi pulled up next to her. The window rolled down. "Need a ride, ma'am?" the driver asked, his face obscured by a large pair of sunglasses. "No, thanks," she started to decline. But before she could finish, a chemical-doused rag was thrust out the window, and her sight faded to black. The man in black paced around the room. The Swiss9 gentleman had just been informed that the capture of the man known as Shog9 and the woman known as Catija had been smoothly executed, and that the pair was now being held. The team he had sent had done a gouda10 job. Now he could finally execute the next stage of the plan. He smiled as he dialed the phone. Pizza. Everything was black. Microwave. Headache. 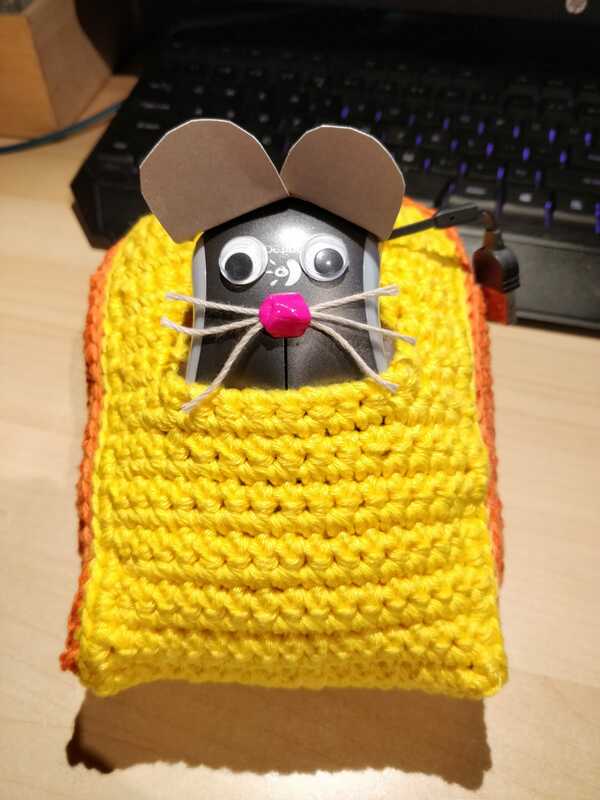 Shog groggily opened his eyes. He was lying on the floor in a dark room. He sat up, rubbing his eyes. There was a large lump on the back of his head, probably because the head in question had recently had a slight disagreement with a heavy object. As his eyes adjusted to the gloom, he could start to make out several things about his surroundings. On the other side of the room, still out cold, was his new colleague, Catija. Apart from her, though, there was nobody in the room that he could see. All around him were refrigerators, filled with cheese wheels, still aging. There was also a table stacked with what appeared to be containers of shredded cheese. Odd, he thought. Why would cheese be left out like that? 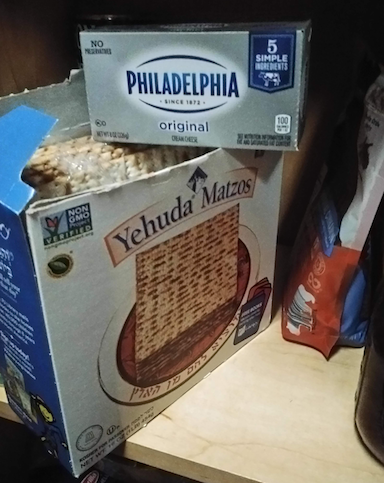 He crossed the room, heading over to the table to look more closely at these containers. As he passed by her, Catija started to stir. "Wh- what..." she mumbled. Her eyes shot open. She took a minute to look around her. She was in a small room that was reminiscent of a storage facility. There was large refrigerators around her. And her co-worker Shog - with a rather large lump on his head - standing next to a table, holding a container of shredded cheese. "I'm thinking this might not actually be cheese." Caught off guard, Catija turned her head to look at Shog. "What?" "This might not be cheese," he repeated. "Look. 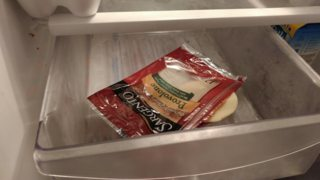 It's not in the fridge, and it doesn't really look like cheese." She walked over to look. He was right. The "cheese" was too white, thin, and long to be cheese. It looked more like strips of paper. "You're right," she said. "It looks like... shredded11 paper." Before he could respond, she popped open the container and grabbed what was in there. Paper. She upended the container onto the table. Pieces of paper fluttered down to land in a messy pile. "It looks like... a puzzle," Shog realized. 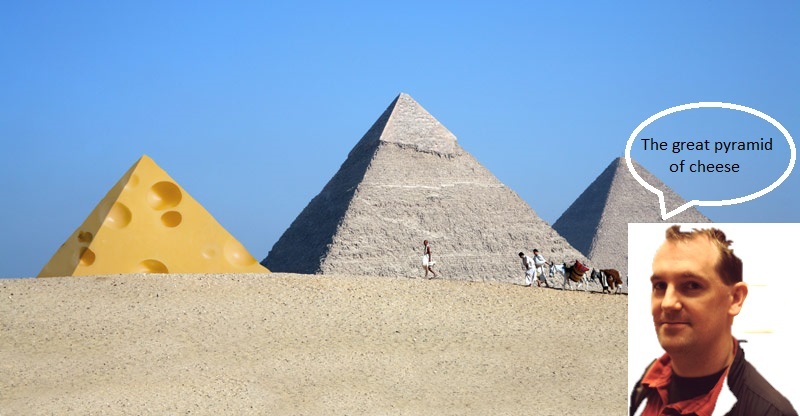 And without needing further discussion, they set to reconstructing the puzzle. When they had finished, things weren't exactly clearer. THE NAME OF THIS SEMI-HARD, PALE YELLOW CHEESE IS FORMED OF TWO PARTS. ONE IS THE STAGE OF A CELESTIAL OBJECT. THE OTHER IS A GEOGRAPHIC OBJECT NEAR A BODY OF WATER. THIS AUSTRIAN, SEMI-HARD CHEESE HAS A TWO-WORD NAME. THE FIRST IS A RELATED TO AN IMMENSE GEOGRAPHICAL PHENOMENON. THE SECOND IS RELATED TO LUKE SKYWALKER. DETESTED BY MANY, THIS CHEESE IS AMONG THE OLDEST ON THE PLANET, AND, IN THE UNITED STATES, WAS OFTEN ILLEGALLY REPLACED BY WOOD. THE INFAMOUS CHEESE CASU MARZU - MADE USING MAGGOTS - COMES FROM THIS MEH ITALIAN CHEESE. THIS CHEESE'S FIRST NAME MAY BE SIMILAR TO A NEW STATE IN THE US AND THE HOME OF BILBO BAGGINS, BUT IT'S ALSO THE NAME OF A DOG (AND THE NAME OF AN ENGLISH PLACE). THE SECOND MAY BE SAD, BUT IT'S ALSO FUNKY AND SKY-HIGH. THIS IVORY-COLORED CHEESE MAY NOT REQUIRE TWO, BUT THE DANCE IT SHARES A NAME WITH CERTAINLY DOES. THIS MOLDY CHEESE MAY BE DELICIOUS, BUT YOU MAY BE TEMPTED TO, INSTEAD, SAY "EW". AFTER ALL, THAT'S ITS NAME. THIS SEMI-HARD CHEESE IS ALSO A CELESTIAL STAGE, BUT YOU CAN'T SEE IT. THIS NUTTY CHEESE'S NAME IS TWO WORDS. ONE IS PROBABLY IN YOUR DINING ROOM. IT MAY HAVE A CLOTH ON IT. THE OTHER IS NOT QUITE METAL, BUT NOT BLUE EITHER. IT'S NEXT TO A HARD PLACE, THOUGH. THIS YELLOW CHEESE IS WARM ALL ROUND - IT'S SMOKEY, SPICY, AND HOT. YOU CAN PROBABLY FIND IT IN THE HEARTH, TOO, WHERE IT'S ALSO FAIRLY WARM. Can you help Shog and Catija by solving the puzzle and finding out what the answer is? I warn you: The answer is cheesy. 1An idiom for passing gas. 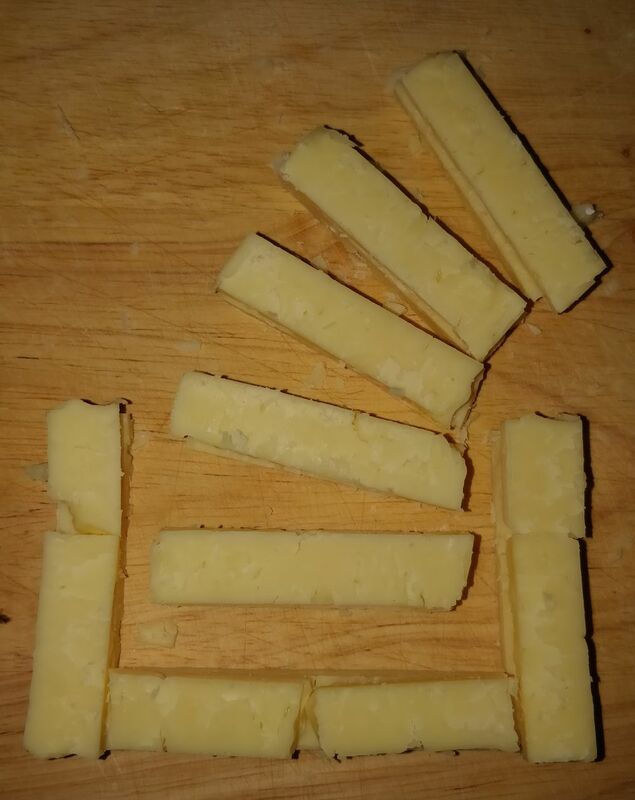 3A pun on grating cheese. 4Ever heard of cheese rinds? 6Apparently, there's a cheese called Cotija. 8Cheese melts. I admit this one was rather poor. 10I'm sorry. This one was obligatory. 11Shredded cheese. Works well on pizza. 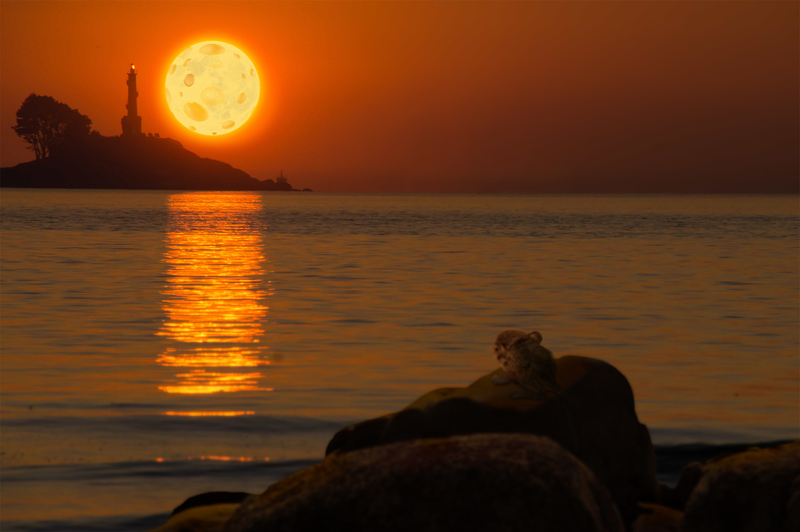 Made from heavily modifying and combining elements of several royalty free images, this mouse is longing for a taste of the cheese that the moon is obviously made of. It'd bring me delight, if you'd use some of these. 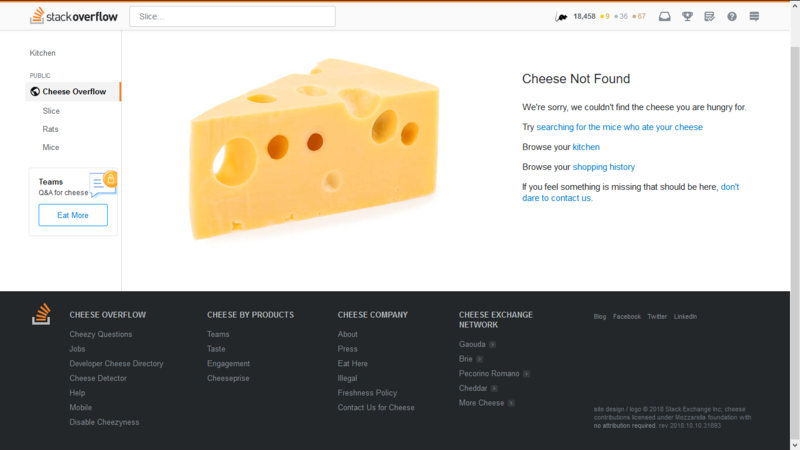 I'd strongly suggest, using cheese ASCII! / /      //         |        --------. / /______// |          |     _ . |. An overflow of cheese?! You gotta brie kidding! This is gonna be grate. I tried to make it as gouda as possible, and it ended up being made swiss love. A holy rendition of our most sacred symbol. And, if you were thinking, "ricotta try this! ", here is a platter straight from the block. This was a quadruple cheeseburger with extra bacon, designed to see if you were paying attention. You didn't pass. This food has severe culinary issues. It is fattening nonsense, oversized, Spam-packed, blatantly unhealthy or otherwise irredeemable - connoisseurs will find it disgusting or repulsive rather than tasty. Please throw away or recommend license revocation when reviewing such food. Don't worry, we've already handled this food appropriately (we did take the food handler's course) - but please take a minute to look it over closely, keeping in mind the guidance above. Oh Dair-y and Holey Cow!. What did y'all think? Let's start with the hardest task? Oh well. I started my cheesy queste here and from there it all went rolling down hill. 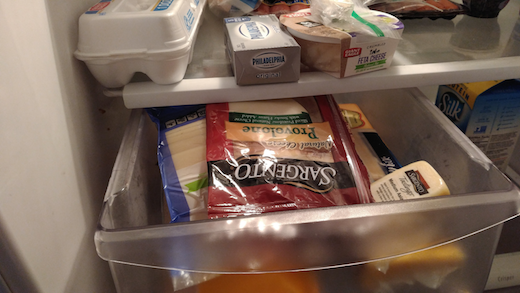 Ok, you moved our cheese. Let's get it back. The question title asked "Who cut the cheese?" and, well, it looks like the unicorn did. I thought I'd let the image speak for itself, but I have to add ... this was imagined, designed, and printed by me on my Anet A8 3D printer using PLA filament. Which begs the question ... Who did cut the cheese? well I guess you could say I did. I came home as usual, ready to make a nice dinner -- but no! My kitchen was undergoing a food emergency! That essential ingredient to accompany my nice bottle of Pinot Grigio was gone! Two slices of Provolone -- not nearly enough for a meal! 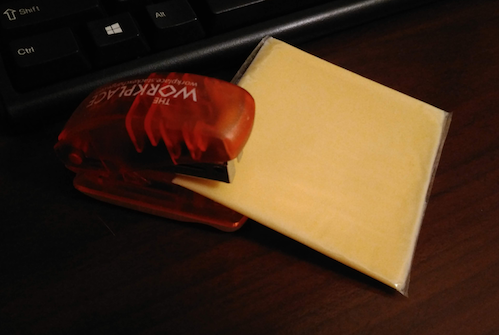 Somebody moved my cheese! The cat wasn't talking, so I was going to have to hunt it down myself. I found a single slice taunting me, daring me to find its compatriots. Game on. Another slice had fled to the office, only to be caught by my attack-stapler. Nobody messes with my stapler! I'm not sure what the cottage cheese was thinking. And no, it wasn't a very satisfying game of Bananagrams. Cheese can't spell. The Romano gets points for trying, but burrowing isn't its strong suit. But oh, the cream cheese -- kraftiest of all, it seems! I haven't touched that box since spring! The search continued, until finally I'd found all my cheese again. Never mind. I'm gonna have dinner. And wine. At some point you just have to let cheese go free, y'know? 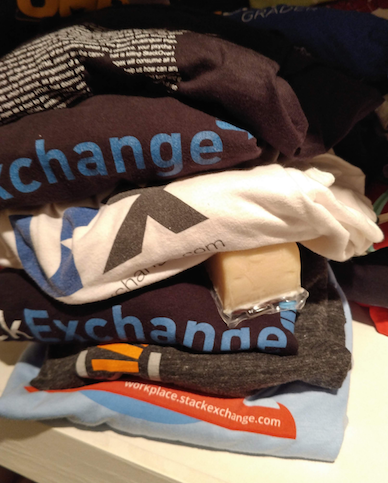 STACK EXCHANGE EXPLAINED: with CHEESE! This community has created some of the finest internet-transmissible cheese out there. I propose that RPGSE as a whole be awarded a cheese board which we will time-share monthly among the top twelve cheese-posters on site, as ranked in our cheese hall of fame. Ever seen one of those "which breed of dog/Harry Potter character/programming language would you be" personality quizzes? It is, after all, the oldest cheese (or, at least, the closest modern equivalent). One of the world's most popular, yet not talked about much. Also, often associated with pizza. A popular, friendly introduction to something out of the mainstream. Like Stack Overf—um, I mean, feta—it's one of the earliest cheese types. Brazilian and Portuguese. C'mon, keep up. Nice enough, if kinda mild. Pretty cool, for those who know enough to get past the outer shell. Kind of a mixture of multiple similar topics. An early variant again... and a bit of a salty one. What really makes this special and distinctive from other cheeses/sites? An emphasis on sticking pins in things. Kind of a specialty. People who like it tend to be really into it. A relatively old style; it's got a reputation for elitism in some circles. Great with apples. If you don't have apples, maybe don't bother with this one. Covers territory originally owned by Neufchâtel/EL&U, but has evolved into its own distinct entity. Cue semantics argument over whether this entry is technically qualified/eligible to be on the list. Take a moment to be amazed at what is clearly the best answer to this question. It's so awesome I don't even care that I'm giving free advertising to a competitor. Whether deservedly or not, it's got some negative connotations. Very pleasant, and can be applied in a wide variety of situations. Adding even just a little bit of this will greatly improve pretty much anything. Somehow, it seems foreign and accessible at the same time. A bit rough around the edges, but overall, it's solid. A fun cheese, if a little too spicy at times. A blend of two different groups (sorry, couldn't figure out how to work in a literal RAW vs. unpasteurized joke), but they work together well. A cheese from Japan. Seriously, you haven't figured out how this works yet? Started out as an unremarkable component of a larger, established franchise, and quickly turned into an Internet phenomenon (for example). Are you kosher, but still want to have your cake cheese and eat it too? This is for you. Has the quality demanded by epicures, yet is accessible enough for all. Meets all the usual criteria, and looks real good doing it, too. It's debatable how many people are legitimately interested in this and how many just want to gawk at a pile of excrement. Nevertheless, if the stories are to be believed, it could solve some real problems. Okay, this doesn't really have anything to do with A&C, I just wanted to make the easy Catija joke. It sounded like a great idea on paper, but it's pretty much died off. Not yet mature, and rarely used. Really off-putting at first, but it does have a small, devoted—one might say "cult-like"—following. Sorry for bad photo editing. Little did I know how appropriate this stack of cheddar slices I made a few days ago would be now! 2018: Catija Hired, Election Experimenting, Stack Exchange! 2017: Cake Hat, Exact-dupe Edits, Stack Exchange! Come now, think of all the years of SE's life. Every time your post is useful, rep you'll have. So the system works, and so SE can flourish. Excels in what it does, so each site gets good traffic. 2008: Creating History: Experts Exchange -> Stack Exchange! What cheese do you use to get a bear out of a tree? How do you eat Welsh cheese? I don't know what ha Bandal websites affected - Google, Reddit, Youtube, Twitter, Wikipedia. Want this amazing experience for yourself? Download the font, install it, create a user script with the below, and enjoy the new Stack Exchange. Do you want to taste this Delicious Cheese Cake? Credit goes to Mr. Salix Dubois for sharing this CSS on CodePen. Now I'm not expecting to win one of the top 25 spots, because we all know the fastest gun in the west gets the cheese. 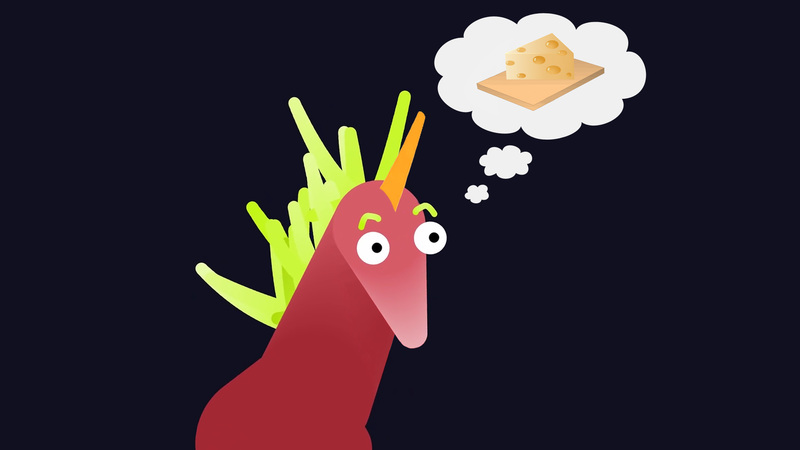 I give you a unicorn thinking of cheese. SE has a long history with unicorns. Because my mind is always on the bash ( ) here is a history of cheese through the winter bashes. 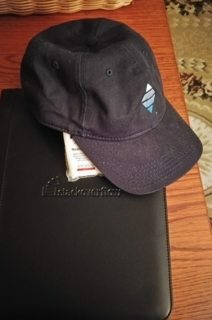 2012 Cheddarhead "answer score 10+"
2014 30 minutes or less (it has cheese on it) "get 5 answers in 30 minutes"
2016 A real hat featured in the promotional video, multiple times. 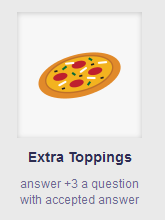 2017 Extra toppings (really it's a cheese pizza) "answer +3 a question with accepted answer"
Not the answer you're looking for? Browse other questions tagged discussion fun swag 10th-anniversary . 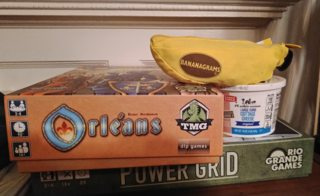 Thank you for my cheese overflow board!